Your Halifax Chiropractors in Lower Sackville! At Back To Health Chiropractic, our multidisciplinary team of healthcare professionals work together to help you achieve better health without the use of drugs and surgery. Lower Sackville chiropractors, Dr. Glenn Guilderson, and Dr. Remi Lavoie seek to give you a lifetime of better health through chiropractic care. You may see us because of our great reputation for relieving pain. Once you feel better, we work to help you stay that way! Many of our patients have been seeing us for healthy maintenance checkups since our practice opened in 2001. We love watching children grow and families be able to maintain their health through regular chiropractic checkups. You do not need to cover up your pain with a pill. Instead, we work to determine why your body is telling you something is wrong. 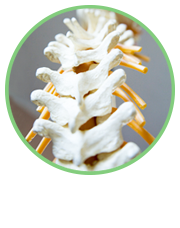 Precise adjustments to your spine allow your nervous system to communicate better with the rest of your body, leaving you feeling great and functioning at your best. 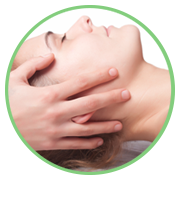 Our practitioners work together with complementary disciplines to give you the greatest benefit. 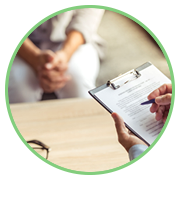 We have been able to help with even the most difficult cases. With so many solutions available, there is little that we cannot accomplish! Chiropractic may improve your energy levels, vitality, flexibility, digestion and sleep. 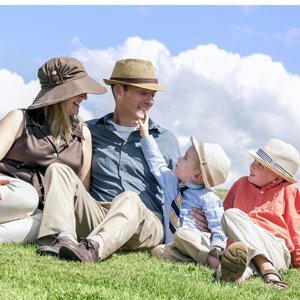 We’ll treat you as we would want to be treated – like family! Contact us today. Very informative and educated on the fact that the body can heal itself and does not have to rely on medication – looking forward to being further educated and to gain more knowledge on how to make this happen…. Dr Glenn Guilderson is an amazing Chiropractor. I was really impressed by the efficiency, professionalism and friendliness of the staff. I look forward to my next visit! Excited to start my recovery and experience with the staff. So Glad I found you Dr. Lauren! Staff are very friendly and make you feel welcomed. My first visit was a good experience, it was very informative, encouraging and positive! I was very impressed with everything! Everyone is first rate! So happy I was able to find you. Dr.Paul has been extremely helpful, and I’ve learned a lot from him. Thanks! I sure learned a lot about my body in the first session. Very informative. Very pleasant doctor and staff, they made you feel very comfortable. The teaching that I received at Back To Health Chiropractic was excellent and lessened my fears about treatment. The many questions that I had were always answered with respect. I would definitely recommend Back to Health. Lauren is really good and has patience with kids. Really appreciate! I find Dr. Paul very nice. Explains everything very well. I am very happy with the help I am getting. Back To Health Chiropractic | (902) 865-8500 Chiropractors Helping Lower Sackville, Bedford and Halifax Get Back To Health!